Matthew McInnes is an Associate Professor at the University of Ottawa and Director of the Diagnostic Radiology Residency Program. 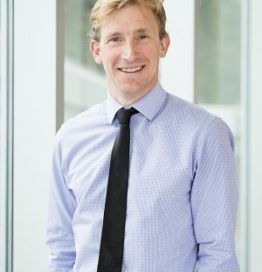 He is a radiologist at The Ottawa Hospital Department of Medical Imaging, Abdominal and Chest Radiology divisions, and a clinical investigator in The Ottawa Hospital Research Institute (OHRI) Clinical Epidemiology program. He is deputy editor for the Journal of Magnetic Resonance Imaging and associate editor for Radiology, both in the area of evidence-based practice. He completed radiology training at the University of Toronto in 2006, followed by a one-year clinical fellowship in abdominal imaging at the University of Toronto University Health Network. He holds a cross appointment in the School of Epidemiology, Public Health and Preventive Medicine at the University of Ottawa. Dr. McInnes’ current areas of research interest are systematic reviews and diagnostic test accuracy in imaging.